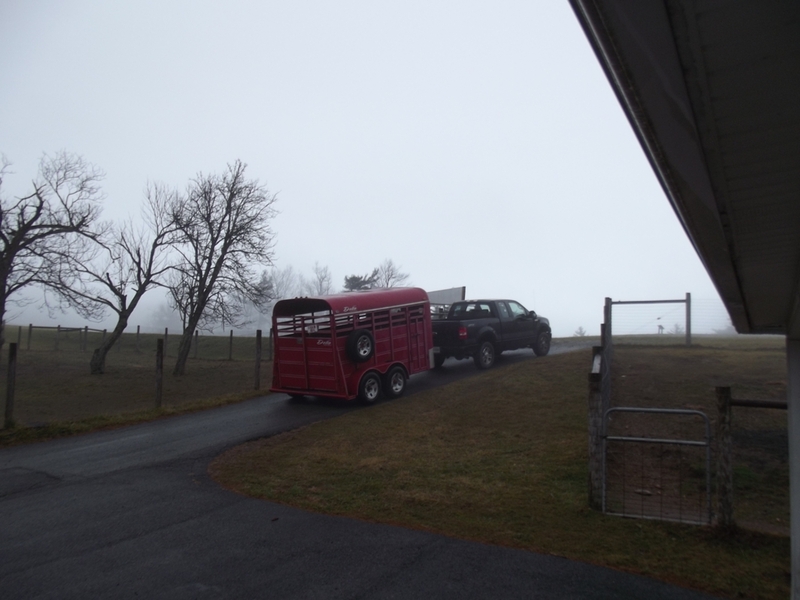 Last week we said goodbye to three of our sweet spring crias and their gelding ‘big brother’. 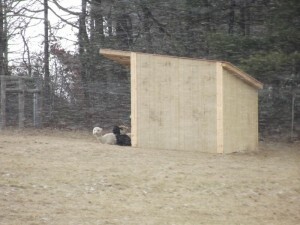 Sir Galahad, Ephraim, Gryffyndor and Max moved to their new farm. They are the first members of the Otey family’s new farm (name still being decided upon). Effie Mae and Sharyn will be moving early next year when they reach a safe travel date in their pregnancies. 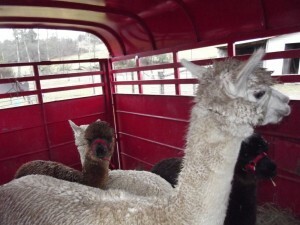 Contact us if we can help you get started in your dream of raising alpacas. 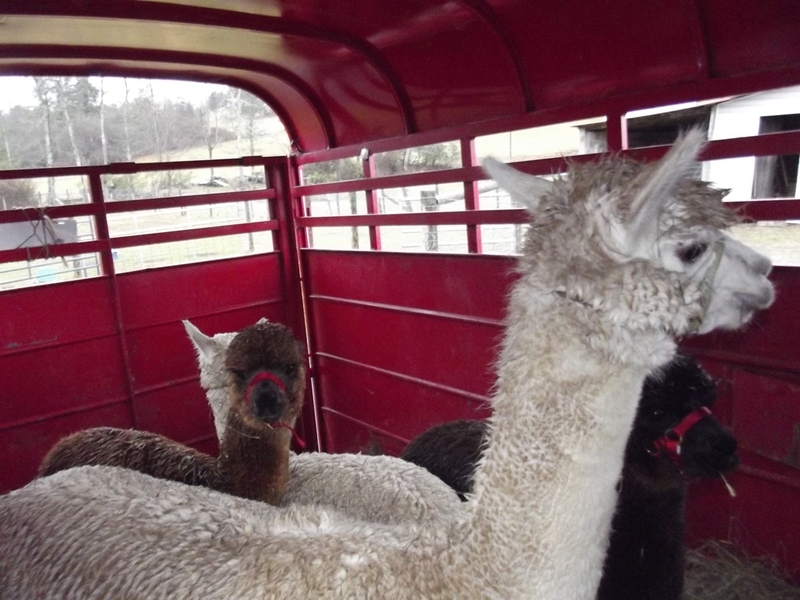 We have wonderful alpacas for sale right now and can help you put together the perfect package to build your herd. To learn more about our alpacas for sale, visit our Alpacas page. We woke to high winds and snow today. The snow has continued throughout the day, but is not accumulating much on the ground. They are forecasting snow for the rest of the day and tomorrow, with the weather warming again on Sunday. The farm and store are open, so stop by if you are in the area. I want to remind you that the Parkway is often closed due to snow and other bad weather. You can still get to the farm on Highway 608 (Misty Trail in front of the farm). You can find winter directions to the farm near the bottom of our farm directions. 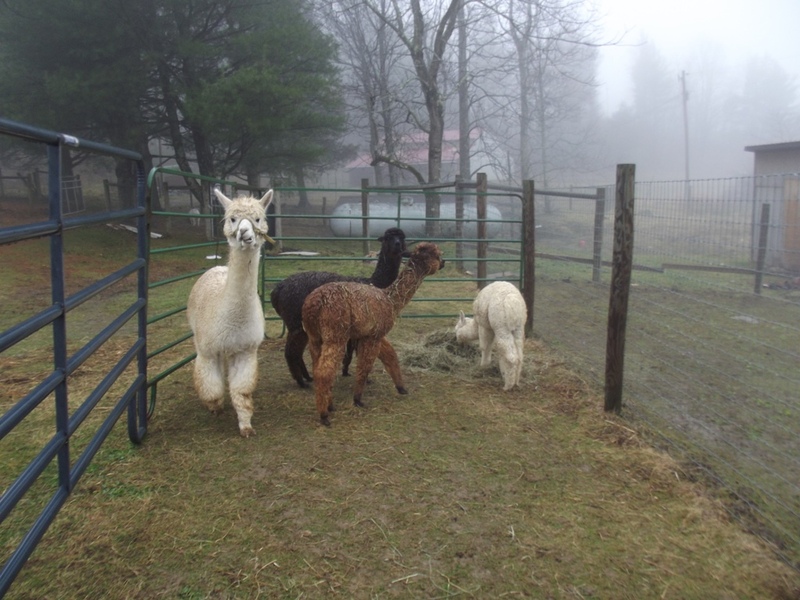 The alpacas don’t mind the snow or cold weather, as their coats are already quite thick. 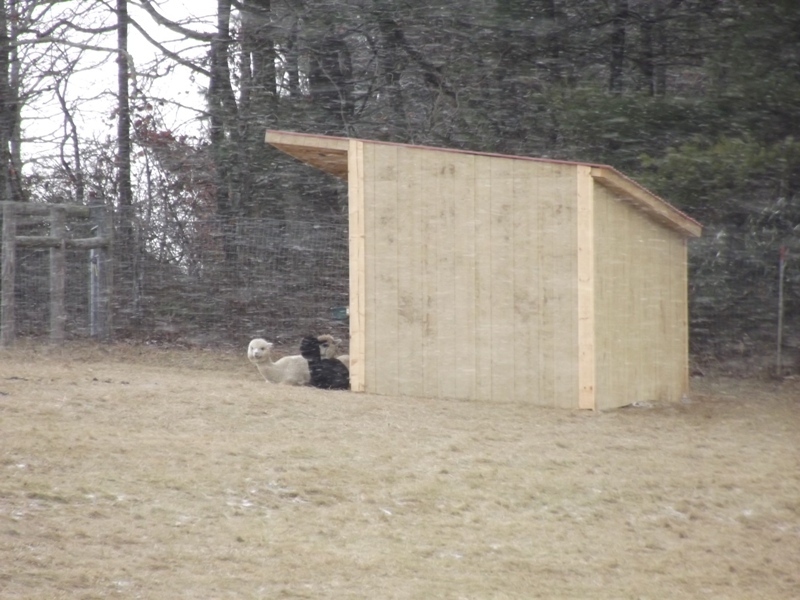 They are not fond of the high winds, though, so most the alpacas are hanging out in the sheds enjoying hay or just watching the snow.